Lunch: weekdays: 11:30am - 5:00pm; Dinner: Monday, Tuesday 5:00- 9:00 PM; Wednesday, Thursday 11:30 - 10:00 PM; Friday, Saturday 5:00 - 11:00 PM Brunch: Saturday - Sunday: 11:00am - 3:00pm; Happy Hour Weekdays from 3 to 5 PM. Many public lots within Santana Row. Consuelo can serve to any size group from an intimate party of 2 to a larger group of 80. We have a few different styles of parties that we offer from a sit down dinner to a cocktail style reception with passed appetizers. Buyouts are available; please contact our Management team for details. 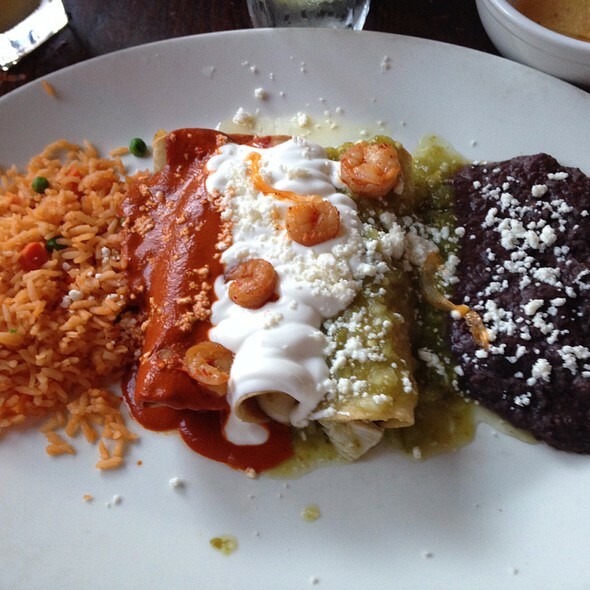 Consuelo Mexican Bistro features a traditional and diverse Mexican cuisine. The complex flavors from the kitchen are complimented with creative drinks, selected Tequilas, beer and wine from the bar. The decor matches that found in Mexico City's cantinas in the early 1900's. Bienvenido a Consuelo Mexican Bistro y buen provecho! The food was good based on my group's reviews to me. 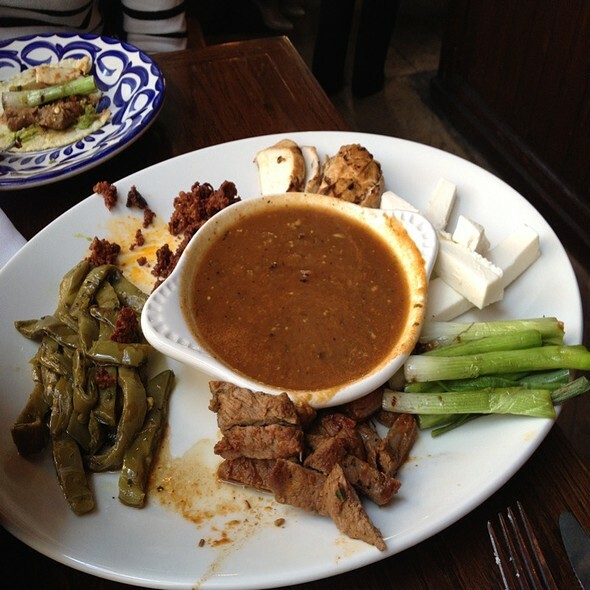 The chili relleno and bunuelo were not what any of us expected, we should have asked more about them before ordering. Vegetarian choice is very limited. But good ambience . Very nice and good food. Food came out really fast. Awesome food, drinks. Loved it! My fav place for mexican food. 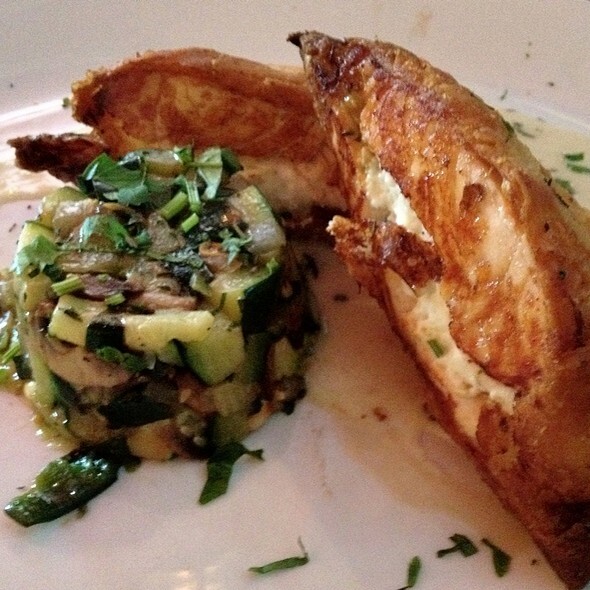 Flavorful, well presented food in a lively full restaurant. Wonderful trio of salsas was refreshingly tasty with a range if heat. Artistically presented sopes were full of flavor and a very positive beginning for our meal. The green pozole was ethereal, warm, satisfying, and perfect for the chilly evening. Would recommend and return! I am disappointed to be saying that our meal here was not good. 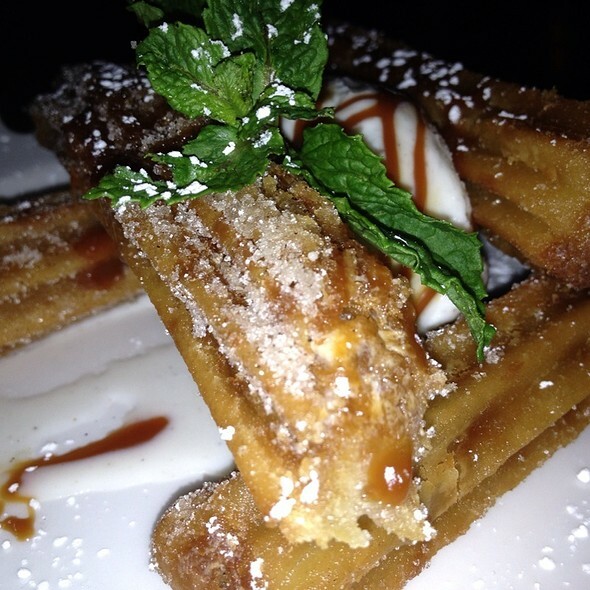 We love Santana Row & had good expectations because this restaurant is located there. Unfortunately, there was a reason there was no wait on a Saturday night. The food on the whole lacks flavor of any kind. We ordered the fajitas & although served on a cast iron skillet, the meats were cold, very thin pieces of chicken and steak and the chorizo didn’t even taste like anything & had clearly been reheated. The tortillas were terrible & there were no other accompaniments...just a plate of salsa. 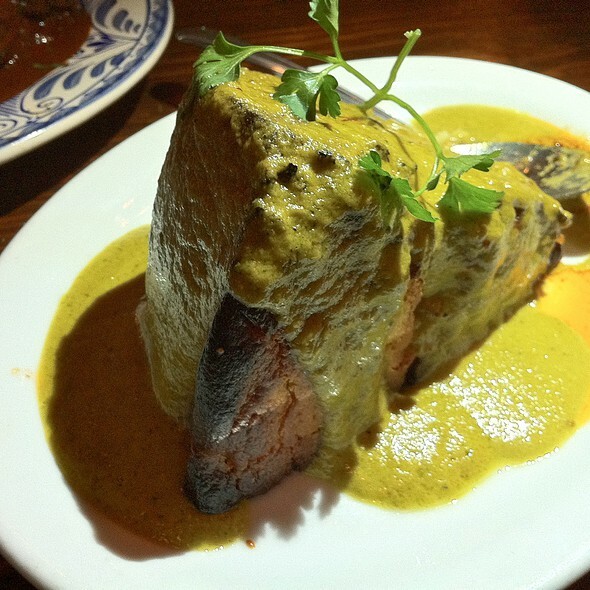 The Chile Relleno looked more attractive but tasted like nothing in particular. Made for a very disappointing night out. As far as experience goes, we had a blast celebrating my sisters birthday! The server was friendly and attentive. 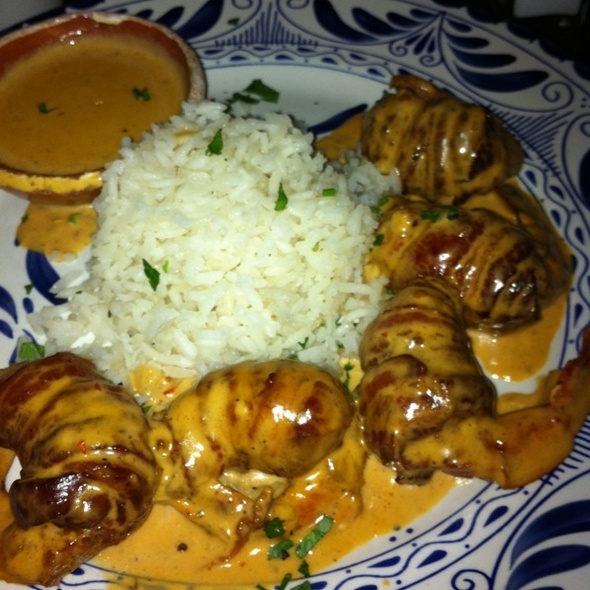 I order the bacon wrapped shrimp and have to say was dissatisfied! Someone else ordered shrimp tacos and was unhappy as well. Everyone else seemed to have enjoyed their dish so that was good. Prices were reasonable for food, except the drinks! $24 a shot was ridiculous! This is the third time that I have been here and honestly I won't be back. The food is tasty but the service is very slow. It took quite awhile to be greeted by our waitress and once we ordered it took a very long time to get first our appetizer then our food. Our table was sticky and it was very loud in the restaurant. First time there for dinner. I loved their version of Chile Relleno as it was not deep fried and was stuffed with veggies and cheese. My husband had the Posole, which is one of his favorite soups, and said he would come back just for that dish, as it was so good. They had a great tequila and mezcal list as well as creative margarita offerings. Loved the fact that it was right across the street from the movie theater...only had to park once! 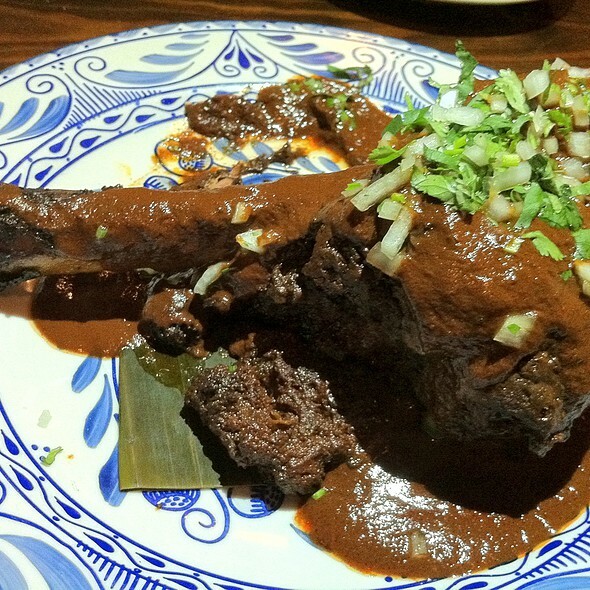 Location and moderate prices make Consuelo Mexican Bistro worth visiting. The menu has not changed much, if any, over the years and they don't have specials. Service is quick though and food is attractive and we'll prepared, but not that special. If you want creative Mexican go to Zona Rosa, but if you want typical margaritas and Mexican food while shopping and being seen at Santana Row then by all means don't think twice, just go and have fun. The food was good. I had the Tortita de Papa. It was delicious. My son had the cheese enchiladas and they charged him $22 for it 😱 while my dish was $17 So check prices before you order. Enchiladas Souza’s were amazing. Service was very slow and several mistakes were made, but corrected right away. Filet was perfect. Mashed potatoes were cold. Hot sauce is amazing. Not your typical "American-style" Mexican food — truly authentic dishes like the ones found in Mexico. Been going there since they first opened, and will continue to return! Unfortunately they don’t have enough servers. Their food and drinks are pricey, but great. However the servers are all over the place. We had one lady serving all the outside tables plus some inside. This was on a Saturday night. We had to beg for our check and then go inside to actually pay it. The food was satisfying, but wish it would have been beter like the first time we eat there. I do have to say the quality has gone down. Not good food. Few dishes we ordered came cold (not even warm) and they were supposed to be hot. our waitress was amazing ! 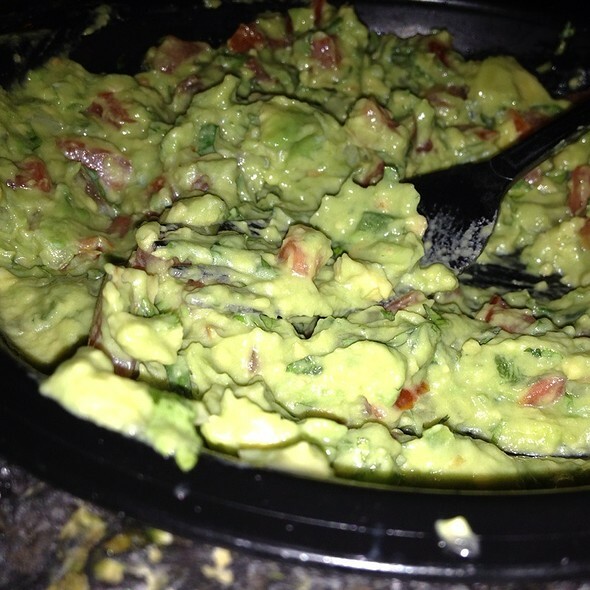 The guac was the best we have ever had and the fajitas could feed a small family! Delicious. Noise level is over the top loud. Not possible to have any kind of conversation without yelling. We have been here a few times when we are are at Santana Row. The food and service are always good, as well as the drinks. It is a good place for a quick bite to eat before venturing on. 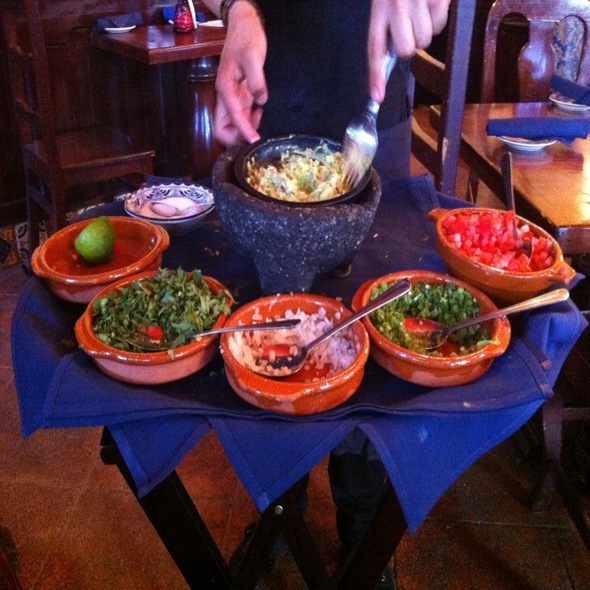 The tableside-made guacamole is a real treat! I took my parents here to celebrate a birthday and we had the guacamole (delicious) and split the fajitas 3-way with enough to take home for another meal. We thoroughly enjoyed our meal and our margarita’s too, however, they are on the small side and quite expensive. I will come back, however, it was too loud and we had trouble hearing each other. We went with a reservation, 2 adults and 2 kids. They sat us at a middle table that had bench seating (not great with a 2 year old) and then brought us a highchair. We made it work until they slip the tables next to us and pushed a table agains the back of the highchair and they were making room for other tables. It’s was very rude and my son kept turning around trying to grab things off the other table. The food was aweful Mexican food, not just Americanized, it just didn’t taste good (FYI... I am Mexican). We had gone about a year ago but we will not be going back again any time soon. The food and the service were outstanding. We loved and will go back again. "That's how it is" was not only the response to a questionable dish but the overall attitude of all staff. Many standing around while I needed service but every time the catch my eye they turn away. Overpriced, lazy staff, and bad attitudes all make for awful experience. I will not go back or recommend. I wish I read the other reviews before going. The food you ask? It was ok. Just ok. Not worth the money. Has been one of our favorite restaurants over the years. Disappointed in the quality of the food this time. Carnitas were overcooked and tough, rice dry, fajitas a bit overcooked. Restaurant was only half full so no one waiting for table and our server promptly gave us our bill and had written the 'suggested' 20% tip amount on it and circle it for our party of 4. Even if we had considered 20% which I normally due in this expensive valley I thought it was presumptuous and rude. The drinks are great and the service is excellent! I always get the guacamole. It’s made at the table and delicious! The food is great quality and very tasty. The service and the food was excellent. I love the decor as well! My favorite is always the table-side guacamole. My carnitas were a tad dry, which was surprising since I've had it before, and it's been superb. Despite that, the combined flavors made it still tasty. My only complaint was that it was very loud. All told, I would highly recommend Consuelo. Food was great the waitress seemed annoyed with everyone. Food was tasty! Ambiance was terrible! Staff kept throwing plates and silverware into the dishwashing area perhaps, but it was extremely loud! Brought it to their attention and kept on doing it. Could not have a peaceful conversation and ambiance..